View the most commonly asked questions about wastewater below. What and where is my house drain? Each property that is connected to Townsville Water's sewerage network has a private sanitary drain (otherwise known as house drain), that is usually a gravity drain. It connects to our sewerage system at the property connection point, which is usually located inside the property boundary, but may be outside, and even some distance away from the property. Who is responsible for the sewers? Townsville Water owns and is responsible for the operation and maintenance of the sewerage network including the property service up to the property connection point. You or your plumber must not do any work in council's sewerage network. The property owner owns the house drain from the home to the property connection point and is responsible for repairs and maintenance of the house drain including clearing of blockages located within the house drain. Please note: It is unlawful for an unlicensed person to undertake works on regulated drainage. Any works conducted on your house drain needs to be undertaken by a licensed plumber or drainer. When the house drain extends beyond the property owner’s land, it is the property owner’s responsibility to obtain any necessary approvals to carry out work on that other land. Can council staff come onto my property? Under section 36 of the Water Supply (Safety & Reliability) Act 2008, staff of Townsville Water and Townsville City Council who are authorised ("Authorised Persons") may enter a place to work on our sewerage infrastructure. Unless the works are considered urgent, our staff will seek your consent to the entry, and/or give 14 days' notice. What can cause blockages and overflows? - storm water entering and overloading the sewerage network. Flush only the 3 Ps (pee, poo and paper) and minimise the discharge of any fats from the kitchen. To reduce the risk of tree roots invading the sewerage system and your house drain, avoid planting near pipes, invest in a root barrier when planting and seek advice from a nursery regarding plants with non-invasive roots. What do I do if I have a blockage? Slow-draining sinks, toilets or showers, or a sewage overflow that occurs in dry weather could be a sign of a blockage in your pipes, or ours. Townsville Water recommends that in the event of problems with your house drain you call council's 24-hour service on 13 48 10. Our staff will then assess the problem and either send a team to investigate and rectify the problem or recommend that you call a private plumber. If Townsville Water staff attend your property and find the blockage to be located in your house drain then you can request that we clear the blockage, for the standard blockage clearing fee plus the costs of any excavation or removal of structures or paving that may be required to access the drain. Alternatively you can call a private plumber. If your plumber finds that the blockage or defect is in Townsville Water's sewerage network, they must get permission prior to undertaking any works in our system. We will reimburse property owners for authorised work conducted on our sewerage network, including property services up to the value of the standard sewerage blockage fee. Please note: Council does not clear house drain blockages on commercial properties. What if I live on Magnetic Island? Townsville Water does not clear and repair house drains on Magnetic Island so you will need to always call a private plumber in the first instance. Townsville Water aims to respond to any sewerage and house drain related customer service request in accordance with our Customer Service Standards. If your property, home or building has been impacted by a sewage overflow, as result of a problem with our sewerage network, we will complete an initial clean-up, which involves removing any solid material and rinsing and disinfecting the affected area to kill off bacteria and remove smell associated with sewage. Townsville Water does not clean the interior of the home or building and the contents contained within. If you believe your property has been damaged as a result of the sewage overflow you will need to lodge a claim with your insurer, who will organise the restoration of your property and will liaise with us about your insurance claim. If your property is not insured, find out how you can make a claim here. The Overflow Relief Gully (ORG) is a key feature of the house drain. It’s a grated outlet located outside the home or building near an external wall to prevent sewage overflows occurring inside the home or building. The level of the top of the ORG should be 150 millimetres below the lowest fixture or drain located in the home or building that is connected to the house drain. If a blockage occurs in Townsville Water's sewer or in the house drain, the ORG grated cap should pop off to allow release of sewage outside the home or building. - overflows are directed away from the house and can drain away quickly. During a storm event if sewage is starting to overflow inside your home or building, ensure your ORG is clear of obstructions and the grate is loose fitting. Why does sewage overflow in wet weather? Storm water and sewerage networks are separate systems, designed differently to meet different needs. On average, sewer pipes are much smaller in diameter than storm water pipes. Sometimes rainwater can overwhelm the storm water network and spill over into the sewer system, which causes sewage to back up and may lead to overflows. Also, some customers have illegal connections of storm water to their Overflow Relief Valve or the stormwater diversion valves in outdoor wash bays have failed. Townsville Water manages a Smoke Testing Program to identify any illegal connections and defects in house drains and property connections. What is the Smoke Testing Program? Townsville Water runs a Smoke Testing Program several times a year that aims to detect illegal connections of storm water to the sewerage system and any defects in house drains. Smoke is pumped into the sewer main via manholes to predetermined areas, and our staff visit properties in the affected area to investigate whether any smoke is escaping. This is an Approved Inspection Program under section 133 of the Local Government Act 2009. Section 134 of the Act allows authorised persons entry onto properties for this purpose, and we appreciate your assistance. Please note that we are not permitted to access any structure used for residential purposes. 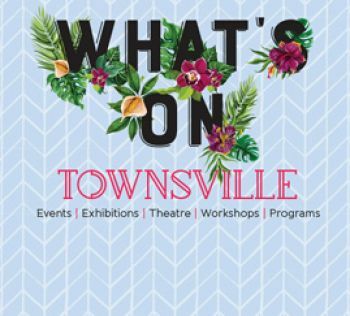 We will advertise any new smoke testing program in the Townsville Bulletin, and advise residents by letterbox drop the day before access is required. Please ensure that any dogs are secured to allow safe entry onto your property. If smoke enters your property you may have a seal on your toilet that has perished. What is a storm water diversion valve? Outdoor wash bays are permitted to drain to sewer when being used, but any rainwater needs to be diverted to the stormwater system. We therefore require that wash bays have a storm water diversion valve (SDR), to prevent stormwater entering the sewerage network. This will be a condition of your Trade Waste Approval. They normally work by a valve connected to the hose - when the hose is on, the pressure opens the valve to allow the washwater to go to sewer. Some also allow the diversion of the "first flush" to sewer, and others include a rain sensor. - Check the valve is in the closed position when the hose to the wash down bay is turned off. - Turn on the hose and check the valve opens, allowing discharge to sewer. If it is not operating properly, you will need to call a licensed plumber or drainer to fix it. What can I do with my swimming pool water? Read council's full policy on the management of pool water from residential properties. - discharged into the sewer via the overflow relief gully. Note:This advice is only for residential pools. Commercial pools need a trade waste approval to discharge to sewer. To ease the burden on the sewer network during wet weather events, do not undertake filter backwashing until 48 hours after the start of a wet weather event. Pool overflow water from rain events should be directed onto landscape areas which are mulched or vegetated with chlorine-tolerant plants (or salt-tolerant plans if a salt water pool). If this is not possible, pool overflow water may be permitted to drain to the stormwater drainage system, provided the chlorine levels are negligible and the discharge does not cause insect breeding conditions or odours through ponding of water. - a flow restriction device is used to reduce discharge rate to less than 40 litres per minute. Pool maintenance drainage water may also be released to a storm water drain, provided chlorine levels have been reduced to below 0.1 mg/L and the discharge does not cause environmental harm, such as insect breeding conditions or odours through ponding of water. Shut off the chlorination system or stop adding chlorine. Hold the water in the pool for several days to allow the chlorine to dissipate naturally. Measure the chlorine level in the pool using a readily available chlorine test kit. Chlorine concentration should be below 0.1 mg/L because even at low concentrations chlorine is harmful to fish and other aquatic life. If necessary, use chlorine-countering chemicals to neutralise the water before draining. There are many chemicals available to de-chlorinate your pool. Seek advice from pool chemical suppliers and follow the instructions on using the chemical carefully, including all safety precautions. What is the difference between sewage and sewerage? Sewerage is a network of pipes and pumps. Sewage is the brown liquid that travels through the sewers. Under section 193 of the Water Supply (Safety & Reliability) Act 2008 it is an offence to discharge a prohibited substance into the sewerage system. - any object that may "obstruct sewerage, or interfere with the operation of sewerage"
The maximum penalty is 1665 penalty units, so please, only flush the 3 Ps, ensure that your storm water is not discharging to sewer and never ever put fuels down the sewer! There are also penalties under section 128G of the Plumbing and Drainage Act 2002 for not maintaining a sanitary drain.